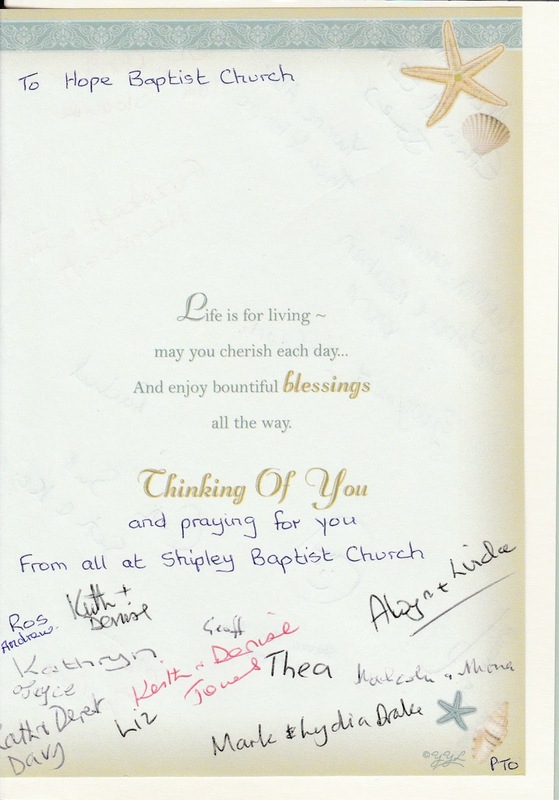 Card and cakes from our friends at Shipley Baptist Church to accompany tea and coffee provided by our friends at the White Lion. 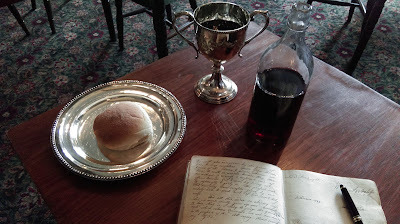 All in the White Lion pub this morning. We may be here two thousand years later, but the first century church is starting to sound very appealing. 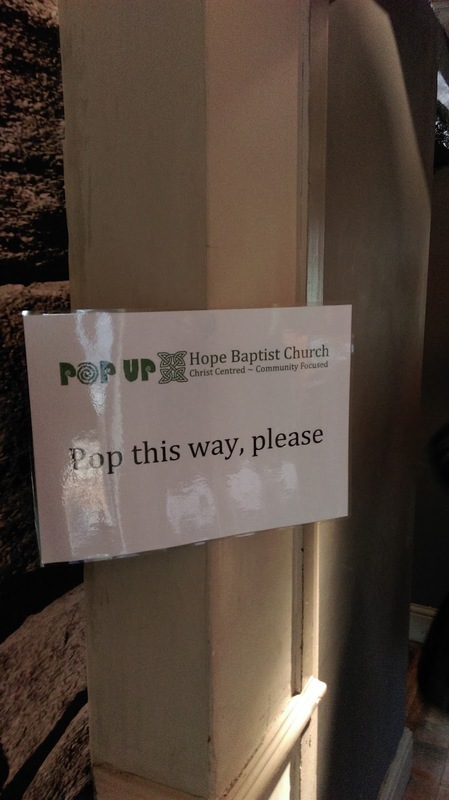 Pop-Up Hope Baptist Church: 10.30am in the White Lion on Sundays - and aiming to pop-up around the town - especially where people tell us there is need. This poster has gone up in front of Hope Chapel today. Having worked for many years to create a sanctuary space and unique venue for this town, this is not where we had expected to be right now. 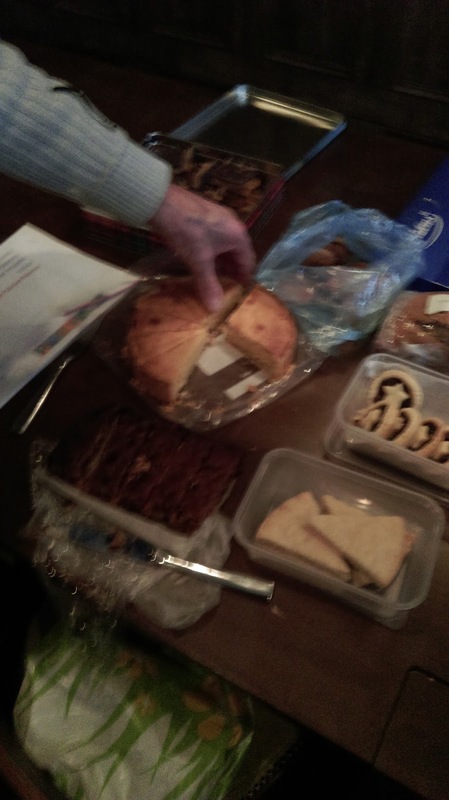 But, we are open to exciting possibilities and are hugely grateful to our friends at The White Lion. We met for the last time for a while at Hope Chapel this morning. From next Sunday, our pop-up church will be at the White Lion (10.30am). 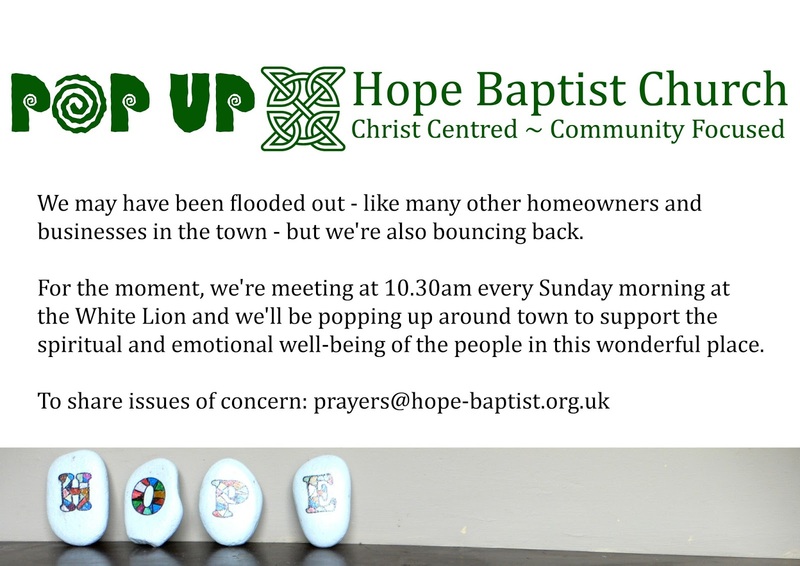 The chapel will be open for at least the next week between 6.00-7.00pm to provide a sanctuary space for anyone wishing to reflect, pray or be prayed for. We'll keep everyone updated about other activities in and around the town. 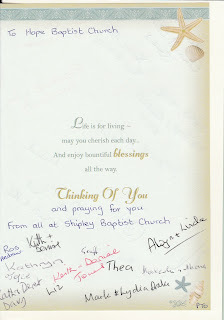 We remain 'Christ-Centre - Community-Focused'. An informal time of worship, prayer and reflection held in the area under the gallery, using the main entrance. Reflections and other contributions from members and visitors are welcome. 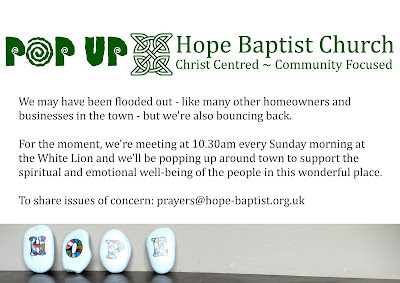 We planned the theme before the floods and this service may be our last in the chapel before we set up a 'pop-up' church while repairs are carried out - details to follow.